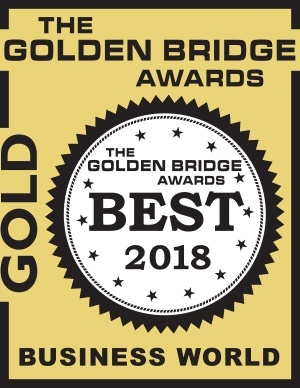 Tucson, AZ – September 27, 2018 – CyraCom International, Inc. has earned the prestigious Gold status in the Golden Bridge Awards® in the Deployment in the USA: 500-2,500 Employees category for its case study that highlighted its fast, cost-effective language services implementation for a major hospital. CyraCom also received a bronze award for Support Department of the Year. CyraCom is the leading provider of language services to healthcare, and its phone, video, and in-person interpretation services and translation solutions are exclusively endorsed by the American Hospital Association. CyraCom’s implementation team helped Boston Medical Center (BMC) switch to CyraCom’s services, installing 1,200 phones, distributing 90 video interpretation carts, and training staff on how to use the service in just three days. The team also helped BMC make resources available for their staff, including making inpatient beds able to accommodate CyraCom dual-handset phones, and the exam rooms set up properly for phone interpretation. CyraCom is the leading provider of language services to healthcare, and its phone, video, and in-person interpretation services and translation solutions are exclusively endorsed by the American Hospital Association. In business since 1995, CyraCom services thousands of healthcare clients throughout the US, including many Fortune 500 healthcare providers – hospitals, systems, and insurers.